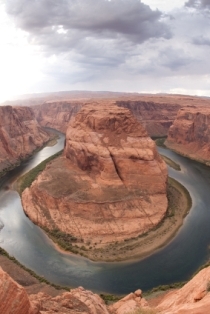 This list of places to visit in Arizona is perfect for families who RV travel with kids. You don't have to be a skilled Arizona tourist guide to find creative and unique things to do with your family in this state. Read on for a list of fun Arizona day trips that your whole family will enjoy. Yes, you read this correctly. 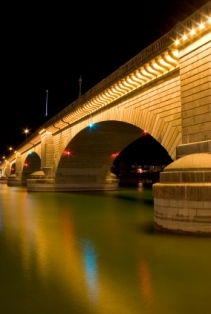 This Lake Havasu city gem is the authentic bridge from London, England, that was sold to Rupert P. McCulloch, an American business man by the city of London, for $2.5 million dollars. There was once a thriving London-themed tourist village next to the bridge that has since gone downhill. However, the architecture of the bridge still makes it a nice spot to add to your list of places to visit in Arizona. The Hopi Indians have resided in Arizona for many years, and this is one of the best Arizona day trips to get an inside glimpse into past and present day life for the Hopi tribe. Located near the Pima Air and Space Museum in Tucson, this airplane graveyard is a facility used by the military to salvage parts for fixing other operational aircraft. This location ranks high as an educational site for those who want to tour the state without the direct assistance of an Arizona tourist guide. Let this site be marked as one of the places to visit in Arizona for the animal fans in your family. You and your family can get up close and personal with exotic animals from all over the world. Visit the website to look for discount coupons and more Arizona tourist info. You and your family can enjoy a half day trip down the Colorado River under the supervision of an Arizona tourist guide. This fifteen mile stretch of river provides memorable views of landscapes and even a bit of historic art. This Flagstaff, Arizona, authentic Mexican restaurant has something on the menu for each member of your family. As an added plus, they cook with fresh, hormone and antibiotic free meats, making your tour of places to visit in Arizona a bit healthier. This grill boasts a notable notations it was featured on Food Network's Diners, Drive-ins, and Dives with Guy Fieri. Great end to a terrific Arizona day trips day. Located in Oatman, Arizona, the living ghost town was once a bust mining city. Now it serves as a tourist attraction, complete with costumed characters and historic buildings you can tour with the help of an Oatman, Arizona tourist guide. This city has been chronicled in various books, movies, and fictional accounts. Now, this city no longer features literal "Wild West" activity, but it still ranks high on the list of places to visit in Arizona. 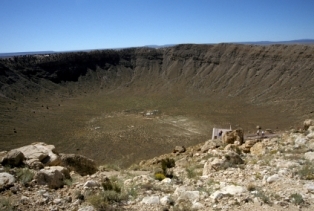 If you have science buffs in your family, a visit to the meteor crater is in order. Located near Winslow, Arizona, this site is one of the best preserved meteor impact sites in the entire world, so you must add it to your itinerary of places to visit in Arizona. This city has something for everyone. Though it is famous for hosting large gatherings for rock and gem collectors, "Q," as it is referred to locally, is home to a wide variety of festivals, including RV shows, antique car exhibits, jazz festivals and more. If you are going to be in Arizona during the winter months, Quartzsite is a must do for all RV families!